Our object this week is a bit of a mystery, but very interesting. By mystery I mean we do not know who made it, or why, or when. It is the what of it that is interesting. 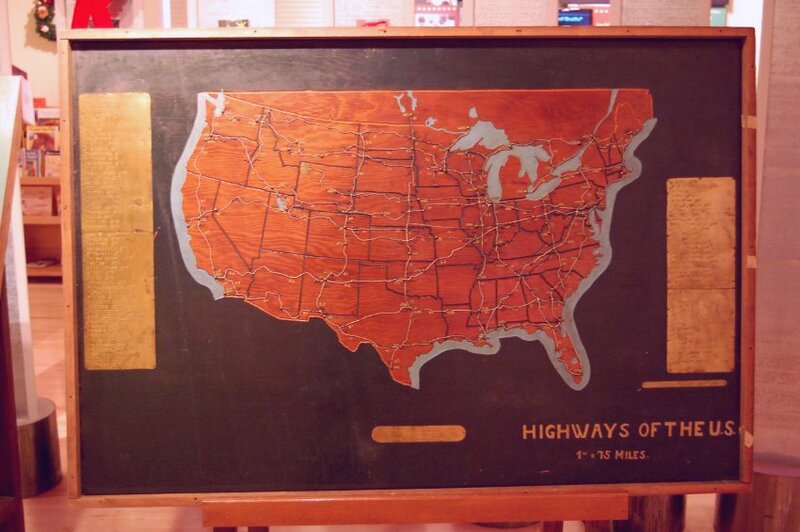 It is a tactile map of the U.S. Highway System, probably made in the 1920s. We know it can’t be much earlier than 1925 because it includes Route 66 between Chicago and Los Angeles. And it can’t be much later than 1928 because U.S. 60 in Kentucky is not on the map. The base of the map is made from plywood, and the borders of the states are routed out. The Great Lakes, the Atlantic and Pacific Oceans, and the Gulf of Mexico are routed out and painted blue. The roads themselves are made from flexible wire that is soldered together where the roads meet. Brass pins mark the locations of major cities, but only those that are located on the roads. Louisville, which today has three major interstates connecting it to the rest of the nation, is not marked, because U.S. 60 is not on the map. There is a brass key to the map in braille in one corner. It is a large piece, measuring about 48 inches wide and 30 inches tall. The key tells us that the scale is one inch equals seventy-five miles. 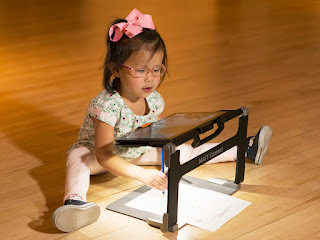 The map was found with a number of molds and patterns from other tactile maps made at APH over the years, so it is possible it was a new product idea that never made it much past the drawing board.